No words can describe the feeling of having your baby in the NICU. The neonatal intensive care unit is designed for your little one to get better and thrive no matter the reason that they are in the NICU. And for many parents, that will be the first and only time they are in the NICU. That doesn’t mean that it will be an easy thing for you to deal with. How do you prepare your time in the NICU? What should you do to prepare your time caring for your baby in the NICU? 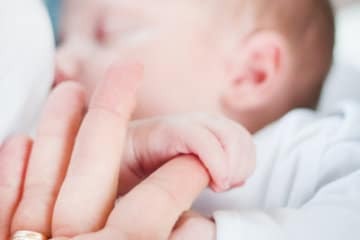 As a mom who had a baby spend time in the NICU, I can tell you first hand the first few weeks are hard, so emotionally hard. 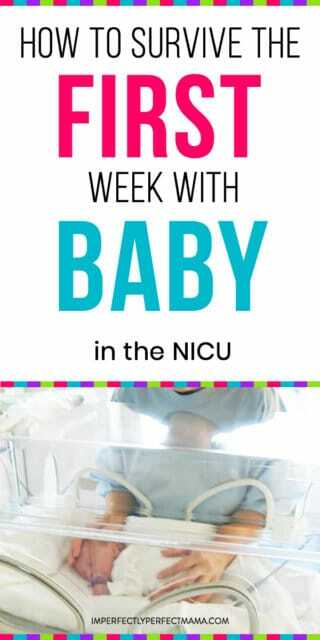 Everyones child is different but these tips will help you survive that first week in the Neonatal Intensive Care Unit. Nothing can quite prepare you for the roller coaster that is the fourth trimester. 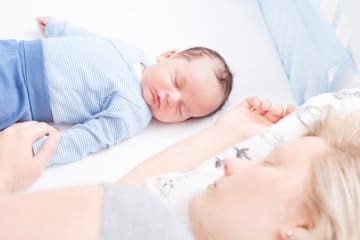 It is normally an emotional time for all postpartum parents but the emotional toll definitely increases while your little one is in the NICU. 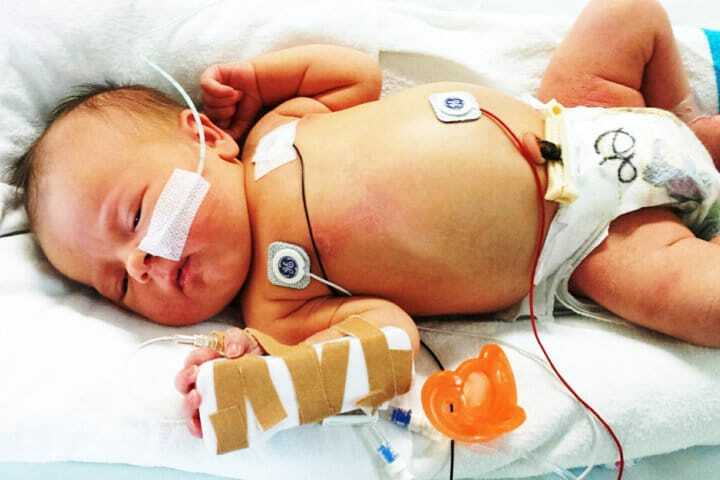 These few tips will help you deal with the emotional side of the NICU. When I was in the NICU I’d always take pictures of my son even when it hurt to look at his little body covered in tubes and needles. Along with those pictures I’d use my phones Notes section and I would write a little snippet of what I did that day with my son. Did I sing a new song? Did I change his diaper? You get to let out your raw emotions while writing it down. And nothing feels greater than just getting the weight of the world off your shoulders with a pen. If you are not a pen and paper or in my case Notes section in your phone kind of gal, then look towards your partner and share your fears, your aspirations for your baby, and most of all how you feel about anything on your mind. You shouldn’t feel that dreaded weight of the world alone. It is so liberating to just talk your feelings out. I think this is the main tip I give every NICU mama. The nursing staff in any NICU is by far the nicest, most caring staff you will see. They really do care about your baby and your well being. A lot of them are parents themselves and understand the heartache you are going through. If you can take a moment to learn names and faces. It goes a long way when you are wondering how your child is progressing. Or if the Doctor has said anything new. The nurses will be the ones to help you out. 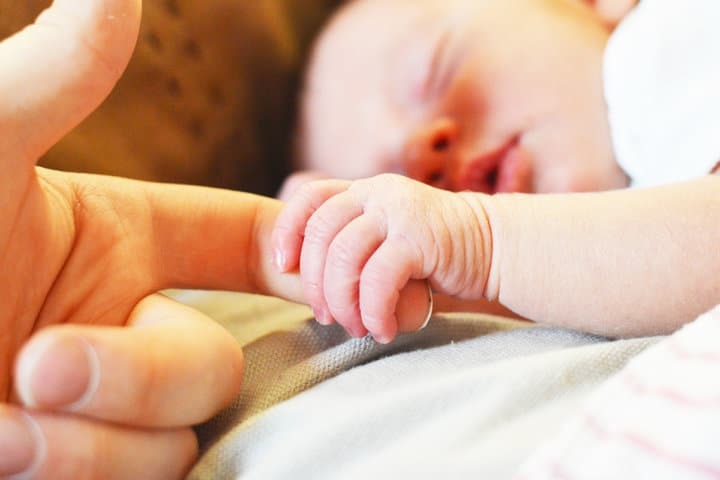 If you are going to be spending the majority of your time in this place you may want to start doing a few things to make it a little more like home and start preparing baby for what life will be like when you are out of the NICU. The first day that I had my son in the NICU a wonderful Nurse made him a name tag were she drew little frogs and animals. All the Nurses that walked by would always stop and say hello. It was also something that made me feel like my family was special and so I created a name tag for another baby who went in the same time as my son. The name tag is a great way to show the world your little baby is fighting and staying strong. Display that name proudly. Although my son was in the incubator for the first few days we put the blanket above the incubator and when he was finally moved to a bassinet we were able to use his own baby blanket to wrap him up. This blanket brings the smell of home and the love you have for you little one. A small reminder that you are always with them even when you have to go home and you know shower. If you are able to breastfeed while your little one is in the N.I.C.U then go ahead and do so. But if little one can’t be put on your chest to start breastfeeding. You may want to start pumping. Invest in a good quality electric breast pump, it will help make things easier. I always found myself pumping before going straight to the hospital. If you pump more than your baby eats the N.I.C.U usually has storage facilities were they will keep your milk and warm it up to feed baby on the next visit. I know everyone wants to meet your new family addition. However if it is not possible don’t let everyone visit. Choose who you let into the NICU. Chances are space is limited and you cannot have 5+ guest all swarming baby and the hallway or rooms. Be picky on who will be able to visit until you have baby at home and baby is given the okay to go home, visitors should be those closest to you. Are you dragging your sleep deprived, new mom bod to the hospital every few hours to play, change and just stare at baby? That is awesome! I highly recommend you do that. But if you find yourself needing to sleep an extra hour, eat a longer meal take a full shower. Do that. Your sanity and health is also important. Remember the nurses and doctors at the hospital are trained to deal with anything your baby might do while you are recovering. 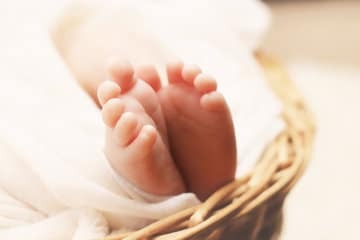 I hope you are able to find some peace of mind and some clarity to how you can handle and overcome your child’s stay in the NICU. The first week is always the hardest because it is new and different. Once you are able to see your newborn progressing, it will all be worth the tears and the struggles. You got this mama! 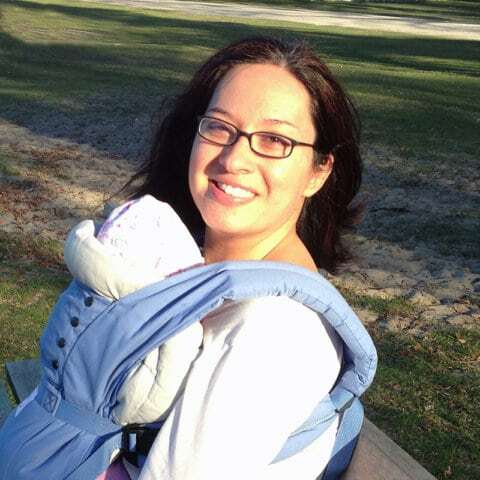 Rosaura is the mom behind Crafty Motherfather; a blog dedicated to help pregnant & postpartum moms be the best versions of themselves while tackling the not so great parts of motherhood. Ready to start your pregnancy and motherhood journey; join Rosaura's FREE 7 Day Pregnancy Course! and start your baby budget, prepare your body and join her mom community!